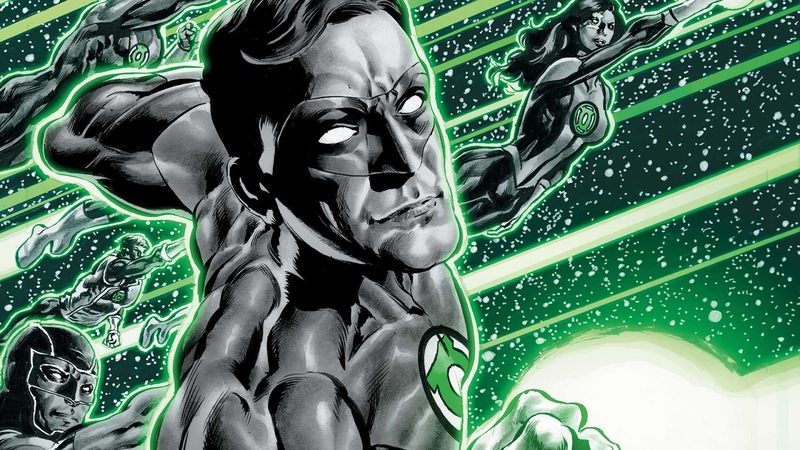 It's our penultimate issue of Green Lanterns and we have a lot to do in a short amount of time and really hope that it all just doesn't come off forced to get us there. Well...... it will be, but with that, hopefully, it's enjoyable as well. 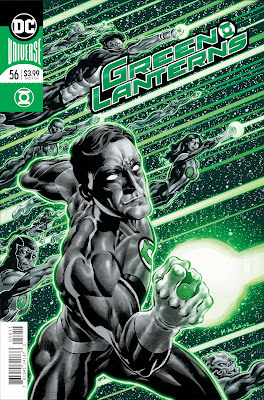 Let's jump into this issue and see if Simon Baz can turn the tides against Cyborg Superman, the Ravagers and Eon........ or if we get any kind of back story on Eon for that matter. Let's check it out. 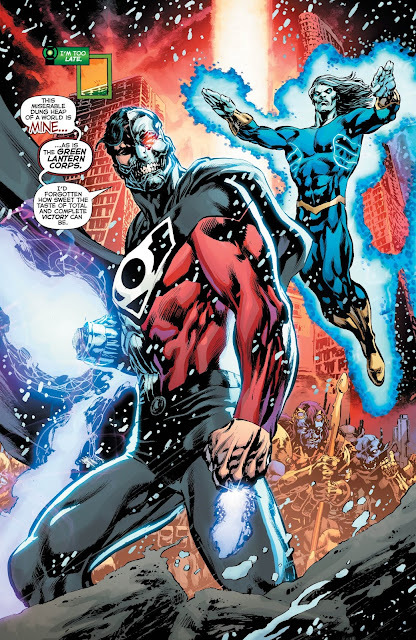 While I love Cyborg Superman and have to say that when he blew up Coast City in the 90's it set off a chain reaction that seriously affected me as a teenage reader because Hal Jordan wouldn't be the same again for many years to come....... it also helped set up my favorite Green Lantern, Kyle Raynor. All I'm trying to say is that Cyborg Superman will hold a special place in my heart as a character that helped define me as a DC fan when I was younger. 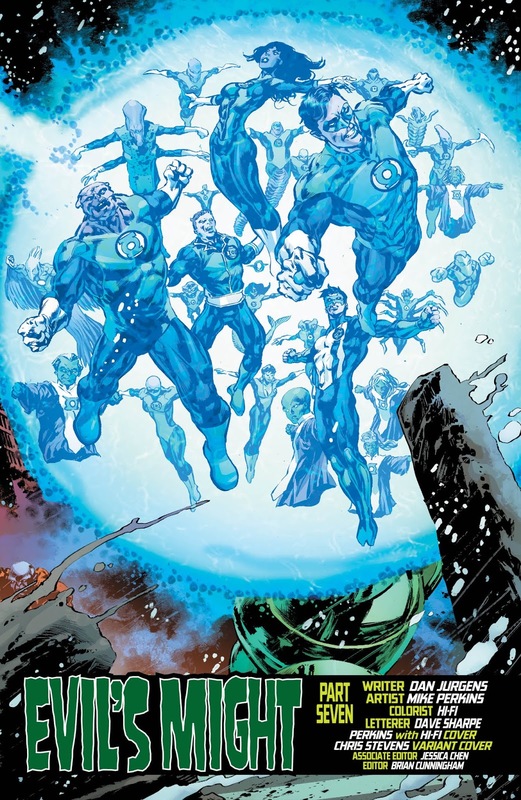 What I don't need though is a forced rehash of those events and what we get out of this final battle between the Green Lantern Corps and Hank Henshaw and is forces is just that. Yeah, it seems that all of this is just set up to be a final showdown between Hal Jordan and Cyborg Superman back in Coast City and because of that........ this issue comes off pretty pointless. one of the first things that Hank Henshaw says in this issue is that he forgot how sweet the taste of total and complete victory can be and instead of using his massive power to make sure that he could actually achieve this, he leaves the issue to just go after Coast City again and it feels like a waste. Yeah, you get Simon Baz rocking a gun again and you get John Stewart back in action and calling the shots, but every step of the way we had characters being told that they could or couldn't do something and because of this they either could or couldn't. It was completely telegraphed by dialog and in the end, didn't lead to a very interesting battle. All in all, this was all very forced to get us to next issue's rehash, which I don't need and even with that, I wasn't a fan of the art all that much this issue that depicted it. Hopefully, next issue will come together and make it so all of this has served some purpose, but since we never really got much out of this arc, to begin with, I doubt it. 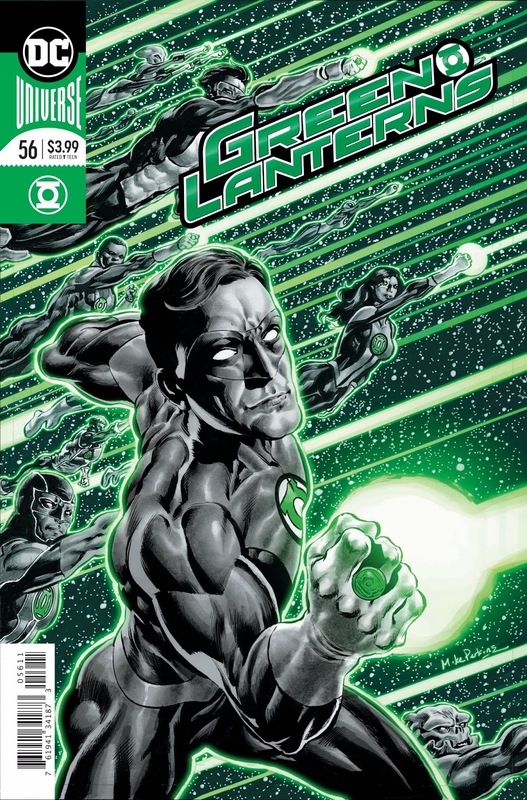 While all our characters are in place for our big showdown for the next and final issue of Green Lanterns, this issue was so forced to get us there that I had to roll my eyes reading it. Hell, I don't even know why we're on our way back to Coast City for this, it doesn't seem to serve any purpose except for nostalgia and goes against what our villain seemed to want even at the beginning of this issue.